Underwater structures can be found in multiple areas around the world. These range from sunken monuments and temples, to even roads and large buildings. But why should we care about these underwater structures? Based on ocean levels as a form of dating, the location of some of these structures would mean that they were built many thousands of years ago. Some, as far back as 10,000 or even 20,000 years ago. According to history as we know it, we were still hunting and gathering at that time, and certainly not building extravagant structures. So who are these mysterious builders from a forgotten civilisation? Many of us are likely somewhat familiar with the Yonaguni Monument in Japan, or even the Bimini Road in Bermuda. Here’s yet another less heard of pyramid that just happens to be resting at the bottom of a lake. 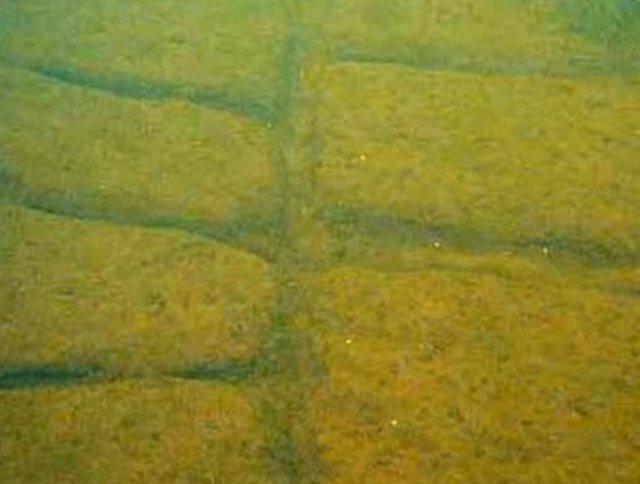 Underwater Structures in Rock Lake? 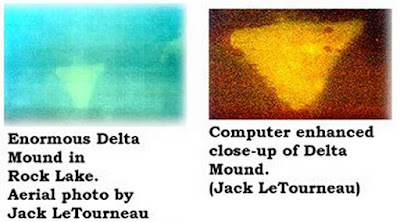 The first encounter with this strange sunken pyramid was in the early 1900s when Claude and Lee Wilson mentioned their oar striking a large structure, roughly 6 feet below the surface of the water. At that time, the men attempted to locate the structure but to no avail. 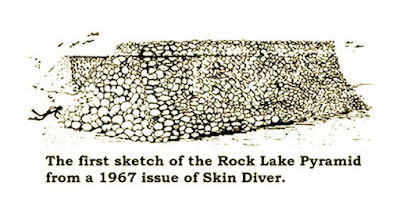 In the mid-1930’s, divers again came in contact with a strange underwater structure in Rock Lake, USA. This time, it attracted the attention of a geology professor and the director of the Wisconsin Historical Museum. Experts estimated the age of the lake to be roughly 10,000 years old, which would make the pyramid beneath the lake at least that old. This alone was enough to cause academics to turn a blind eye, rather than have to rethink the what the existence of such a structure might mean. 30 years later, in 1967, the first sketch of the pyramid emerged. For the next several decades, a combination of divers sketches, photographs, and sonar scans finally managed to map the contents of the lake. 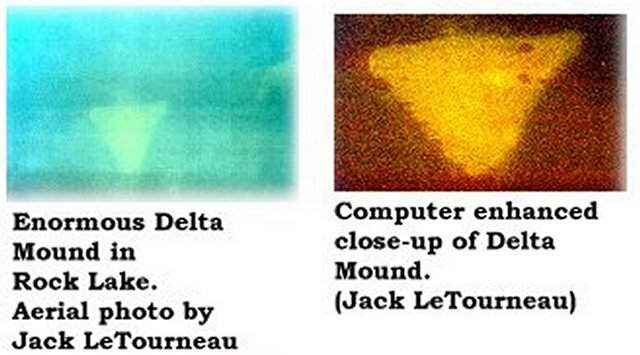 According to Frank Joseph, who at this point has written 2 books about the Rock Lake structures, there are at least 10 monuments beneath the surface. Two such monuments have been mapped out so far. The largest has been named Limnatis Pyramid, measuring about 18 feet in height and 100 feet in length. Over 100 years since the stories of Rock Lake first emerged, we are only now beginning to get a picture of what it all means. The Native American site of Aztalan is located just 3 miles from Rock Lake. At the site, are two similar shaped pyramids, surrounded by a tall blockade. This gives us a bit of an idea of where these structures may have come from. The Aztalan State Park has now achieved a National Landmark status. Some speculate that Aztalan may be an extension of the much better known pre-Columbian city of Cahokia.